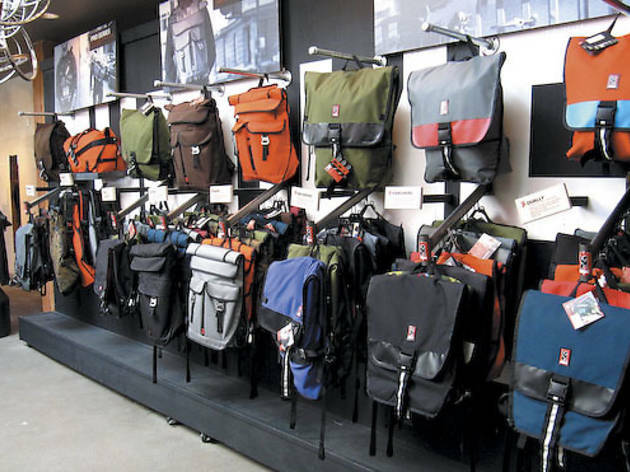 Chrome, the maker of those popular bike messenger bags, features a make-your-own bag station at its new Wicker Park location. THERE’S NO PLACE LIKE CHROME You can find Chrome bags in a handful of Chicago shops, but look for the complete collection of bike messenger bags at Chrome’s new Wicker Park outpost. 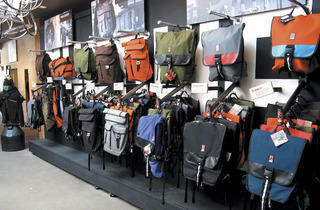 In addition to the popular bags, the store features footwear and cycling apparel. Shoppers wanting a unique bag can build one at the store’s Chrome Customs sewing station. And if this new shop is anything like the company’s other locations in San Francisco (pictured here) and New York, it’ll become a hangout thanks to its planned Third Thursdays monthly music series, bike and skate video viewings, and alleycat races. The store is set to open Saturday 4. 1529 N Milwaukee Ave (773-661-0077, chromebagsstore.com).